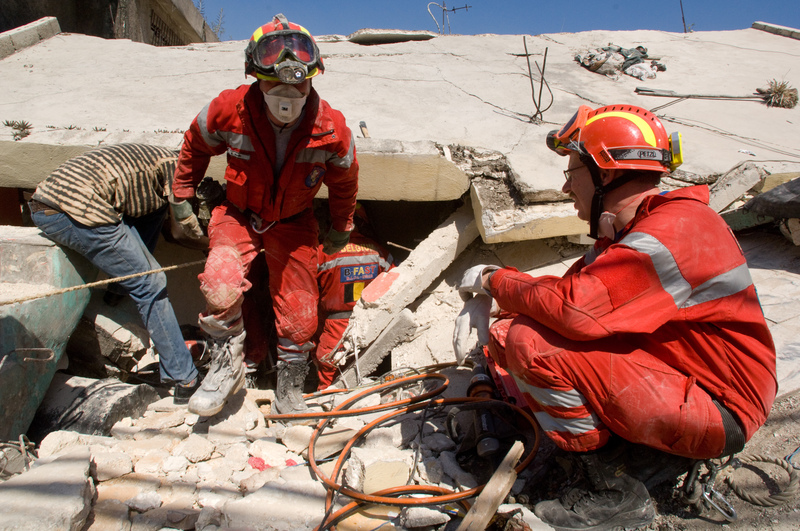 A USAR module (Urban Search and Rescue) is made up of about 30 people and is globally deployed to find and free persons trapped inside the wreckage of buildings – in case of earthquakes, explosions and so on. In these situations, every second counts and it therefore is paramount to be able to deploy this module literally as quick as lightning. 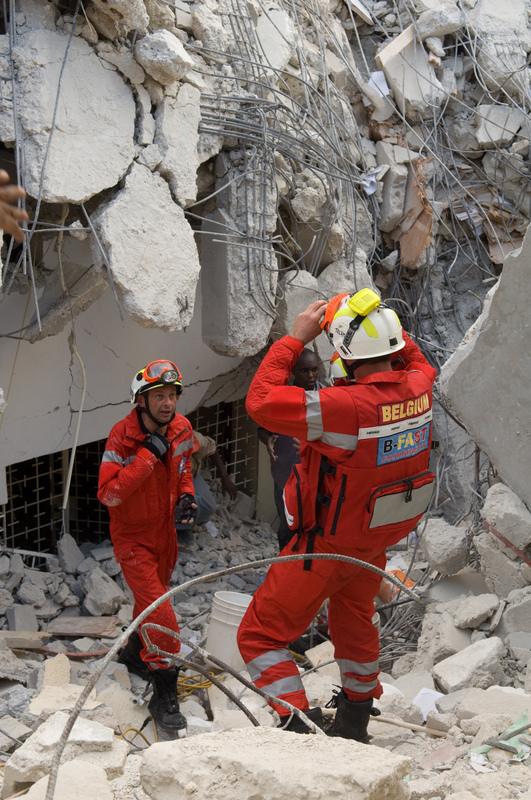 The module is made up of specialised members of the fire brigade and of the civil protection service as well as of highly skilled medical staff. These people are trained to save human lives in difficult circumstances (tropical heat, chaos,…) They work fully autonomously during ten days, day and night, in 12 hour shifts. 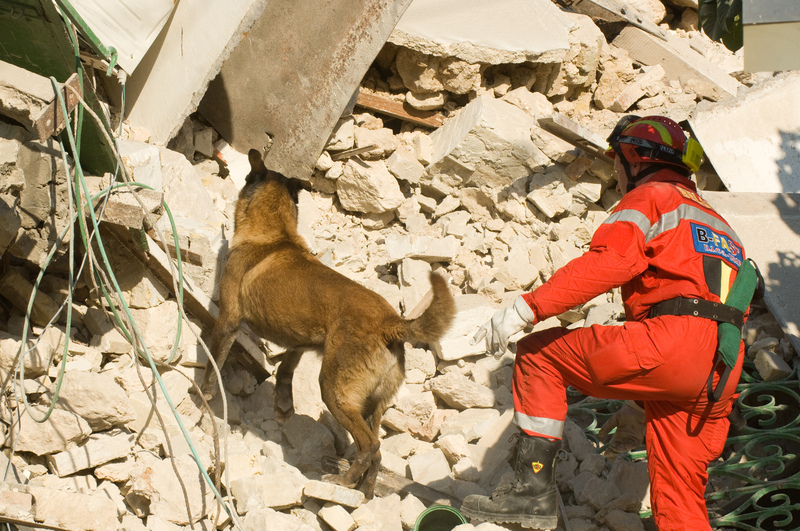 They use sophisticated cameras and sound equipment as well as disaster search dogs and their handlers. The Belgian B-FAST USAR-team meets the norms and standards the United Nations developed and was awarded in 2010, after an in-depth audit, the quality label INSARAG-certified as a Medium USAR-team.